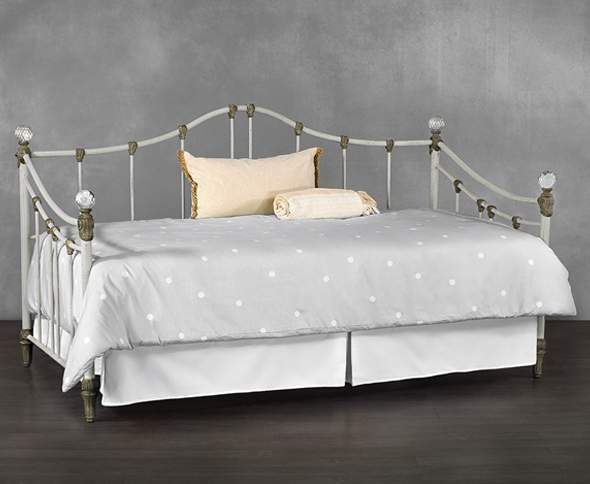 The Ostego day bed pairs airy, lighthearted wit with a touch of romance. Careful arches and slopes pair with straightforward vertical supports to create an elegant, unpretentious effect. Ostego offers an artful touch that goes beyond the ordinary: a clean finished look, contrasting ornaments, and crystal glass finials that add careful detail—right down to the slim, tapered feet.